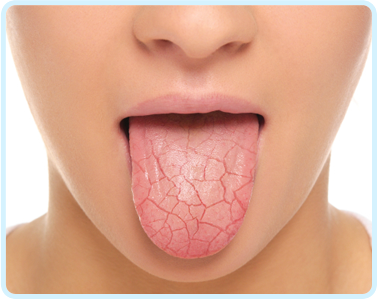 If your mouth becomes dry, mouth ulcers and cuts on tongue then you have to take care. When mouth becomes dry there would be decrease in prestige. Your father also has to face some problems. You may have anxiety, stress and tension. Do not eat or take less juicy food. Donate lentil and chapatti to the poor for 5 days. You must have to offer water to the in copper urn until disease of mouth cure. Use saunf, mishri and gola everyday. Do not drink liquor. Do not eat such food which gives you instant energy. Do not take such food which gives you too much protein. Do not drink milk in night. Donate grams and milk for 11 Sundays. Mouth ulcers occur due to wake up late in the morning, late night sleep, untimely food habits and having bile foods. It also happens due to eating bitter, sour and hard food. It also indicates that you may get stress. Your prestige will also disturb. If you get mouth ulcer too much ten you should take care of your relations. You may face financial problems. You must have to eat and drink in copper plates. Donate 5 plates on Wednesday once in a month. You must have to do this for 11 months. Donate mustard oil and lentil on Saturday. Do not wear black color cloth. Avoid using red and green color. Drink more water. Seat in the light of Moon and chant “Om Shram Shrim Shrom Saha Chadramashye Namah”. If you have cuts on your tongue it means you cannot focus on your goals. It increases impatience and anger. Your friends become enemy. In this case you can wear copper ring in ring finger on Wednesday. Wear red or yellow color thread on right hand. Do not wear black color cloth or do not wear red color cloth. You must have to do meditation. You must have to strengthen your focus. Extra Remedy: If your nature or conduct disturb then you can do tilak of saffron on tongue, forehead and head regularly.